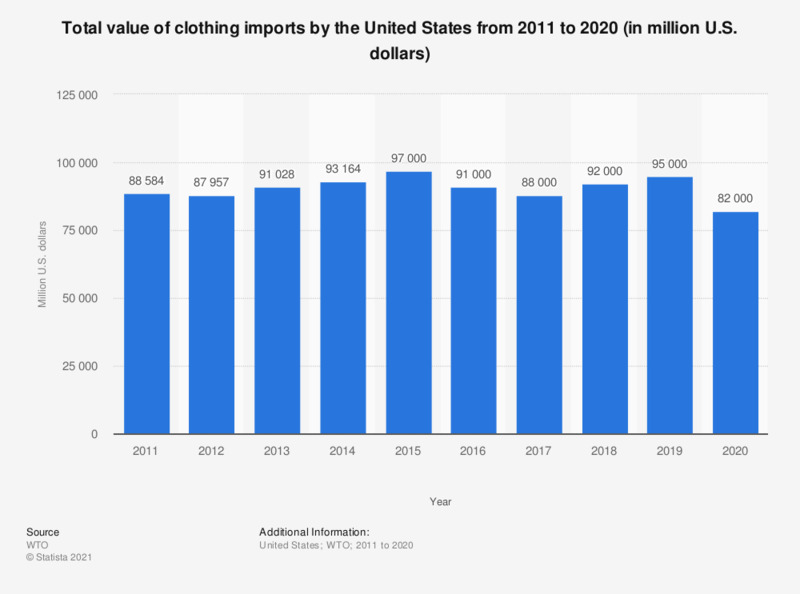 This graph shows the total value of clothing imports by the United States from 2011 to 2017. According to the report, the total value of U.S. clothing imports amounted to approximately 88 billion U.S. dollars in 2017. Figures prior to 2017 have been taken from previous editions of the publication.